We had steak last night for dinner, and there were pieces leftover in the fridge that had not been cooked. And seeing seeing that both Hubby and I are not at work today, I decided that I would cook us a late breakfast/brunch. And that steak seemed perfect. 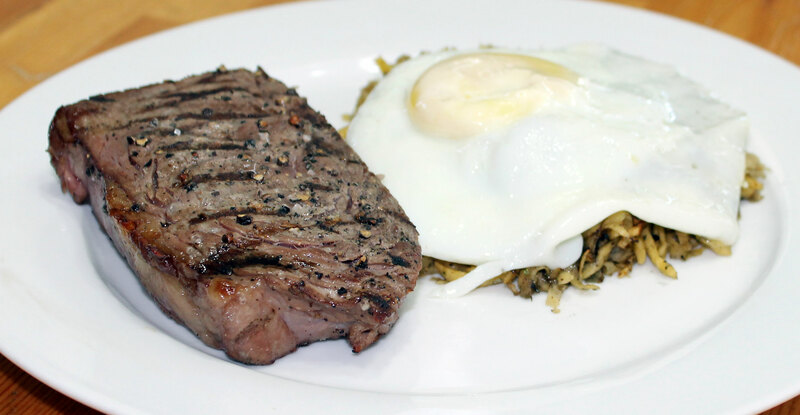 So I made us steak and eggs, and rutabaga hash browns to round it out. Having looked at the photographs I have decided that I need to get a coloured plate – photographing something white on a white plate does not work so well! 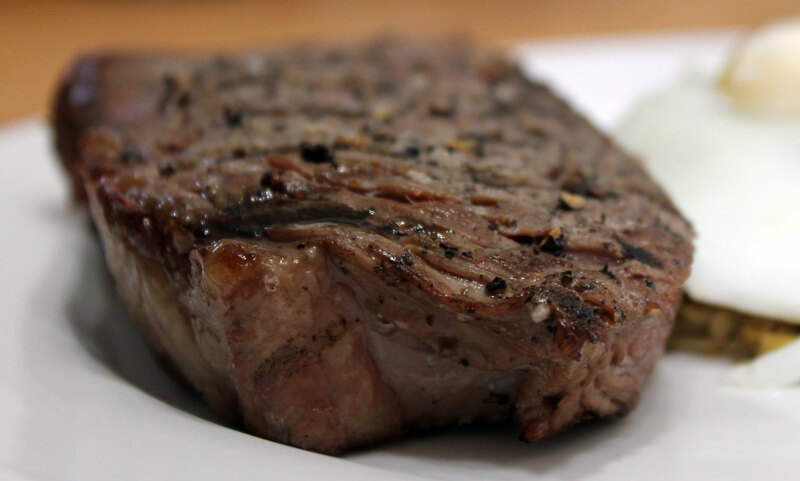 Season the steaks generously with sea salt and freshly ground black pepper. Grill to your liking using a BBQ/grill. We like ours rare so we cooked them for no longer than 2 minutes per side. If you like your steak more well done than this, you will need to cook them for longer. 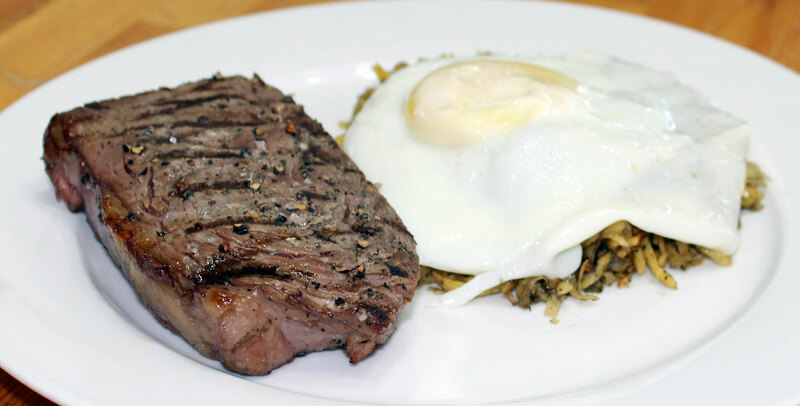 Allow the steak to rest for 5-10 minutes while preparing the rutabaga and eggs. Season the grated rutabaga with salt and pepper. Melt 1 tbsp coconut oil in a skillet. Add the rutabaga and toss for 5 minutes until it is starting to wilt. Shape into 2 cakes, and press down using a fish slice. Cook for 2-3 minutes until browned and crispy. Turn and cook the other side in the same way. 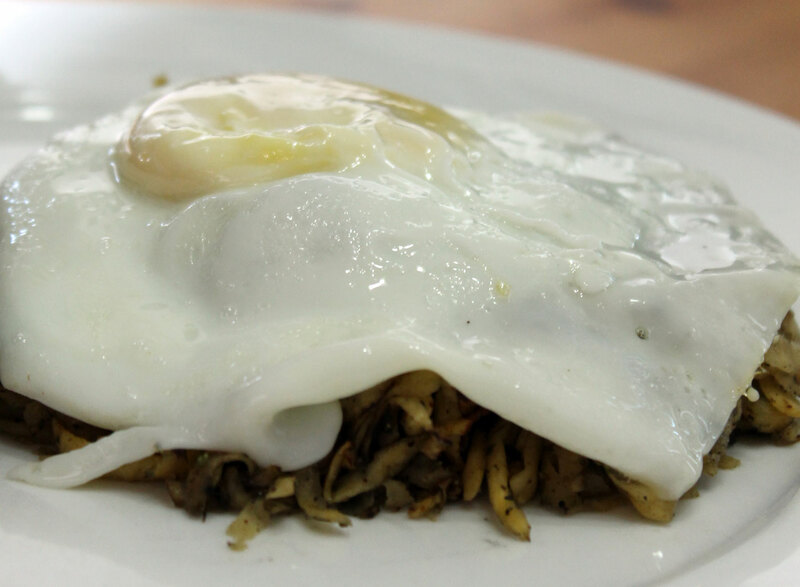 In a separate skillet, melt the remaining coconut oil and fry the eggs however you like them – we like ours overeasy. To serve, place one rutabaga cake on each plate and top with the egg. Serve the steak on the side. This entry was posted in Recipes, Stage 2 Reintroduction and tagged breakfast, gluten-free, grain-free. dairy-free, paleo, primal. Bookmark the permalink. What a deliciously wholesome way to start the day! I really like the idea of making hash browns from rutabaga. 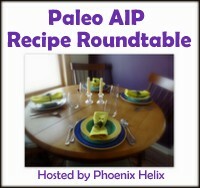 I’ve pinned this to my Paleo recipes board on Pinterest. Thank you for sharing this delicious post with us at The Hearth and Soul Hop.